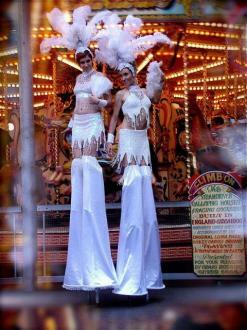 Extravagant and very beautiful, these Carnivale Style Showgirls will shake your audience into sheer amazement. Dripping in beads and sequins, these characters radiate a feeling of celebrating in class, while shaking their tail feathers to the sound of the groove. 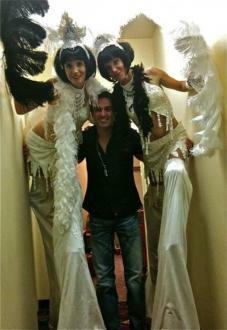 As Ground Characters the Showgirls fit in perfectly @ award presentations, Casino Themed and Carnivale Events. With their Ostrich Feather Fan routines they become mysterious as well as glamourous.